« Hera, Horos, Orion, calendar in Old Europe civilisation and in the tablets ?. Tartaria oblong tablet (with hole). 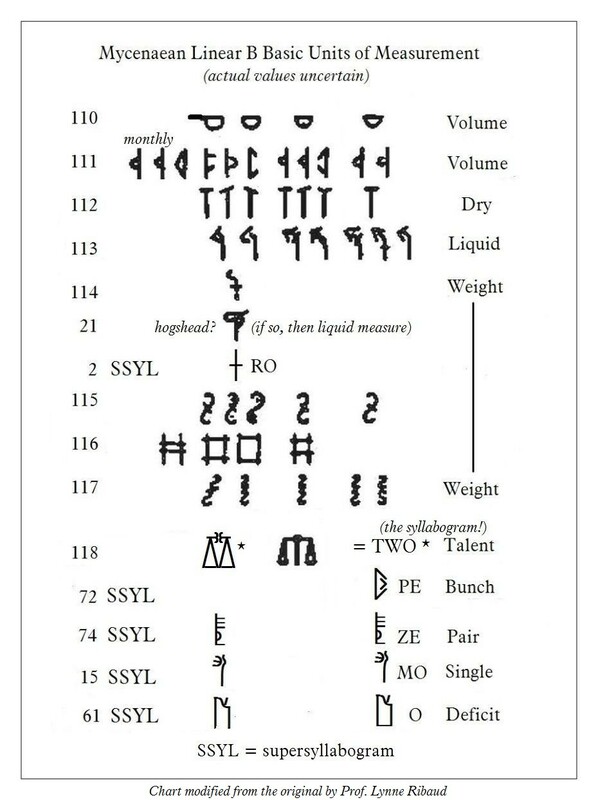 Cretan hieroglyphic, Linear A,B approach /G! MEN, gen. MENOS :”MONTH”; My note: !Not Moon ! So could be “3 months/volume measures of some sort of grain”(gr.sitos) ? Normally must be interpreted with an isolate meaning,but wich could be the meaning? Branch,distress (divergent) !?? 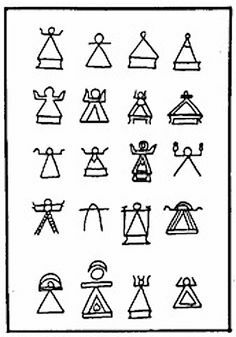 ——————————————- Cretan hieroglyfic meaning DA/SA ?? Hieroglyphic sign Y yet not solved,in testing. It is now perhaps possible to ‘read’ I-DA-MA-TE on double axes from the Cave at Arkalochori as well as DA-MA-TE on a religious inscription from the peak-sanctuary above Kastri on Kythera. The second part of the word -MA-TE is probably the Indo-European word for Mother, including the nomen agentis –TE. 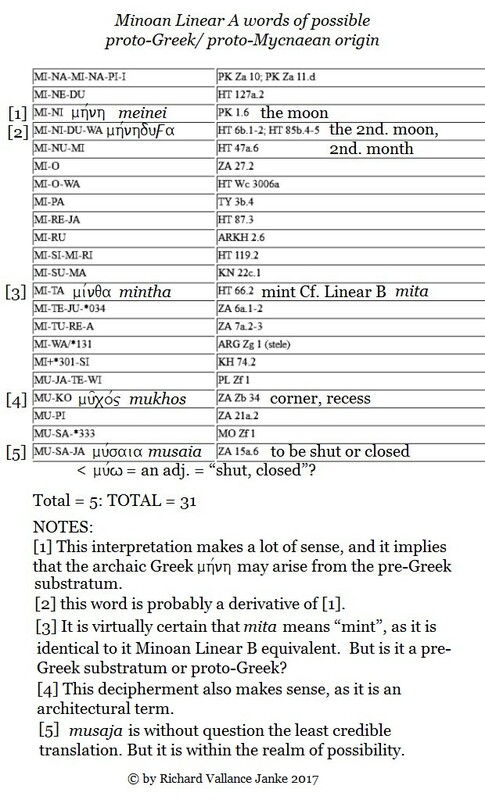 Mother is the most stable word in the Indo-European languages (excluding Hittite and Anatolian Languages) whereas the first part I-DA-/DA- could be interpreted as Mount Ida, just visible from the Arkalochori Cave, or perhaps DA/GA meaning Earth, i.e., Earth Mother, Dem.This would not be a surprise but it is interesting that it is on a Minoan inscription, found in a religious context dating to the 17th Century B.C. Another possible hypothesis for -DA- is connected to “dea/thea” according to Hesychios. It has also been suggested that Demeter be connected with *P.-I.-E. dms meaning house, (-inthos), thus she would be ‘Mistress of the House’ similar to ‘Lady of the Labyrinth’.eter. 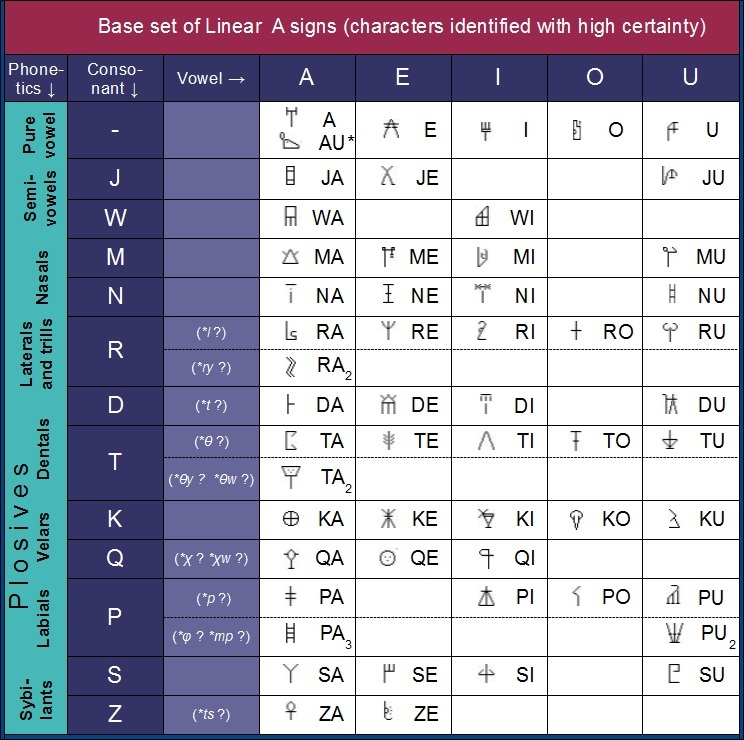 “Once again applying Linear B reading to the previous Linear A texts, we see the sign sequence ja-sa-sa-ra-me. This sequence is very interesting because it appears very often in many other such votive inscriptions in slightly different variants. Could be interpreted as isolate,the evidence is that is separate in a box/compartment. 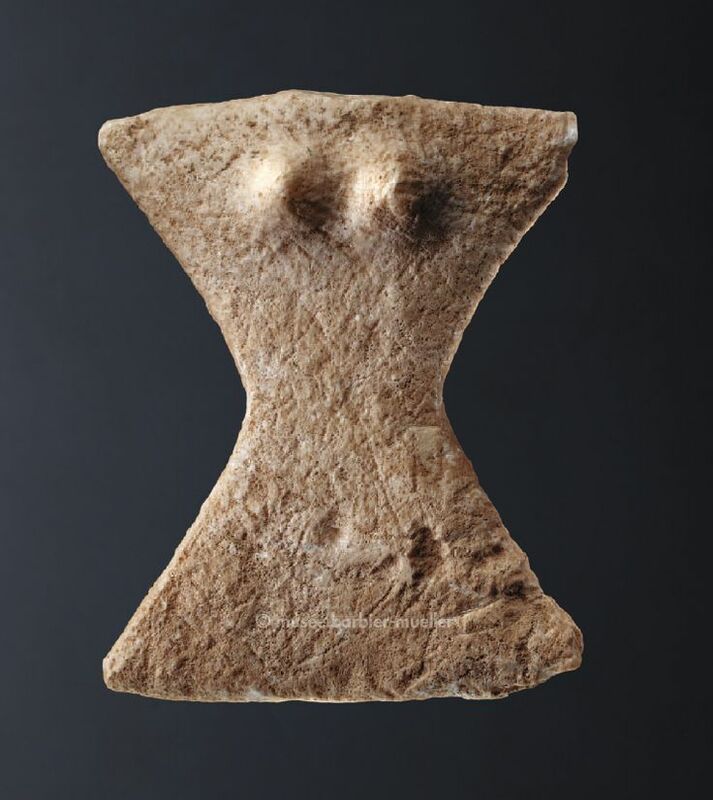 Such cyclades-tipe statuettes were found in entire Cycladic area.But in astonishing great number were found in Keros island.All broken.No pair could be matched.Scholars say that these statuettes were used in burial rituals (as is the case with Tartaria artefacts ! )Keros Island was an center for a kind of unknown ritual. My opinion about labrys-like sign is that upon the sign had an unknown yet meaning with deep in time origin. This is the labrys sign, and it is the sign associated with God. So close to his sumerian counterpart “AB” “house,temple”. In upper part 2 little “V-like signs !? Maybe 1/2? 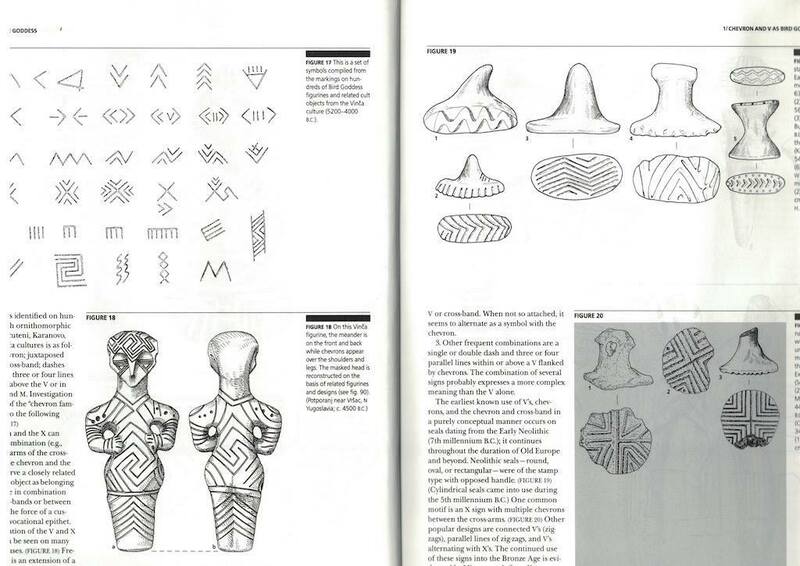 Saul Levin – 1964 – ‎Inscriptions, Linear B. IN THIS EXACT SHAPE THE SIGN WAS NOT USED IN ANY AEGEAN WRITINGS ! See *042 and *175, but our SIGN HAS NO HANDLE! Both above signs, SUN’s ABODE ================================================ THE TABLET IS PRESENTING SOME SIGNS CLOSE TO AEGEAN-ONES, BUT IT IS NOT WRITTEN IN ANY PROPER AEGEAN WRITING ! 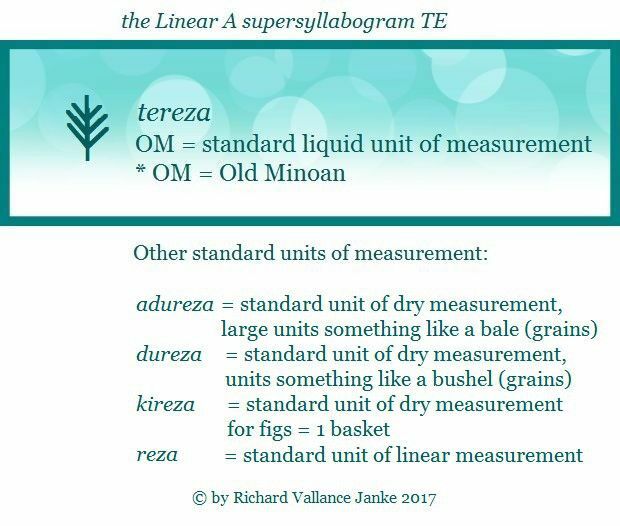 This entry was posted on December 1, 2018 at 6:57 pm and is filed under Ancient civilisations, Epigraphy, LINEAR A/B, minoan, Mycenaean, PROTO-CUNEIFORM, Tartaria tablets, VINCA-TURDAS. You can follow any responses to this entry through the RSS 2.0 feed. You can leave a response, or trackback from your own site.